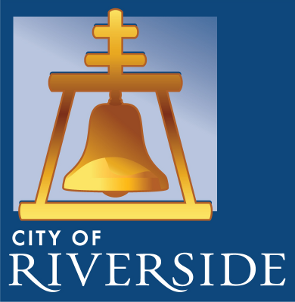 TERMS AND CONDITIONS OF USE Your access to and use of the City of Riverside (“CITY”) Project DOX website (the "Site") is subject to the following terms and conditions, as well as all applicable laws. Your access to the Site is in consideration for your agreement to these Terms and Conditions of Use, whether or not you are a registered user. By using the "Login" button below, you accept, without limitation or qualification, these Terms and Conditions of Use. Throughout these Terms and Conditions, the words "you" and "your" mean you and the employees, consultants, contractors, and any other parties who access the Site using your password. MODIFICATION OF THE AGREEMENT CITY maintains the right to modify these Terms and Conditions of Use and may do so by posting such modifications on this page. Any modification is effective immediately unless otherwise stated. Your continued use of the Site following the posting of any modification signifies your acceptance of such modification. CONDUCT You agree to access and use the Site only for lawful purposes. You are solely responsible for the knowledge of and adherence to any and all laws, statutes, rules and regulations pertaining to your use of the Site. By accessing the Site, you agree that you will not: -Use the Site to commit a criminal offense or to encourage others to conduct that which would constitute a criminal offense or give rise to a civil liability; -Post or transmit any unlawful, threatening, libelous, harassing, defamatory, vulgar, obscene, pornographic, profane, or otherwise objectionable content; -Use the Site to impersonate other parties or entities; -Use the Site to upload any content that contains a software virus, "Trojan Horse" or any other computer code, files, or programs that may alter, damage, or interrupt the functionality of the Site or the hardware or software of any other person who accesses the Site; -Upload, post, email, or otherwise transmit any materials that you do not have a right to transmit under any law or under a contractual relationship; -Disrupt the normal flow of communication in any way; -Claim a relationship with or speak for any business, association, or other organization for which you are not authorized to claim such a relationship; -Post or transmit any unsolicited advertising, promotional materials, or other forms of solicitation; or -Post any material that infringes or violates the intellectual property rights of another. TERMINATION OF USE CITY may, in its sole discretion, terminate or suspend your access and use of this Site without notice and for any reason, including but not limited to: -Your violation of these Terms and Conditions of Use; -Your failure to pay any fee due in connection with your use of this Site; or -Other conduct by you which CITY, in its sole discretion, believes is unlawful or harmful to others. In the event of termination, you are no longer authorized to access the Site, and CITY will use whatever means necessary to enforce this termination. CONTENT CITY has the right to monitor the content that you provide, but is not obligated to do so. We reserve the right (but assume no obligation) to delete, move, or edit any material we consider unacceptable or inappropriate, whether for legal or other reasons. United States and foreign copyright laws and international conventions protect the contents of the Site. You agree to abide by all copyright notices. INDEMNITY You agree to defend, indemnify, and hold harmless CITY and its employees, agents, and assigns, from any and all liabilities and costs incurred by Indemnified Parties in connection with any claim arising from any breach by you of these Terms and Conditions of Use, including reasonable attorneys' fees and costs. You agree to cooperate as fully as may be reasonably possible in the defense of any such claim. The CITY reserves the right to assume, at its own expense, the exclusive defense and control of any matter otherwise subject to indemnification by you. You in turn shall not settle any matter without the written consent of CITY. DISCLAIMER OF WARRANTY You expressly understand and agree that your use of the Site, or any material available through this Site, is at your own risk. Neither the CITY nor its employees, agents, or assigns, warrant that the Site will be uninterrupted, problem-free, free of omissions, or error-free; nor do they make any warranty as to the results that may be obtained from the use of the Site. The content and function of the Site are provided to you "as is," without warranties of any kind, either express or implied, including, but not limited to, warranties of title, merchantability, fitness for a particular purpose or use, or "currentness." LIMITATION OF LIABILITY In no event will the CITY or its employees, agents, or assigns be liable for any incidental, indirect, special, punitive, exemplary, or consequential damages, arising out of your use of or inability to use the Site, including without limitation, loss of revenue or anticipated profits, loss of goodwill, loss of business, loss of data, computer failure or malfunction, or any and all other damages. SITE MAINTENANCE CITY has the right to perform periodic maintenance on the Site without prior notification to you. AUTHORITY TO SUBMIT PLANS The individual submitting plans on the Site hereby indicates that he/she has the authority to act on behalf of the project applicant. AUTHORITY OF CITY All comments and revisions by City staff are subject to review and approval of the City Planning Commission and City Council, if applicable.